Straight Wall Containers | David's Inc. Durable and reusable containers perfect for shipping, storage, and work-in-process usage. Designed with straight walls to provide efficient internal and external usage of space. 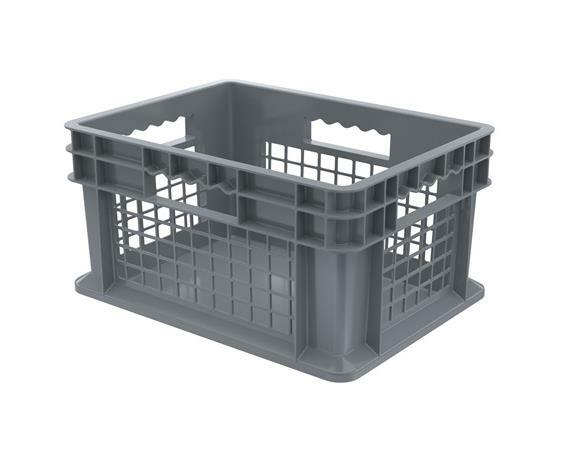 These straight wall containers have smooth inner walls that make cleaning easy and sanitary. 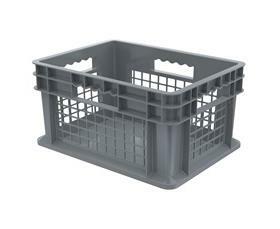 The mesh sides allow excellent hot or cold air ventilation. 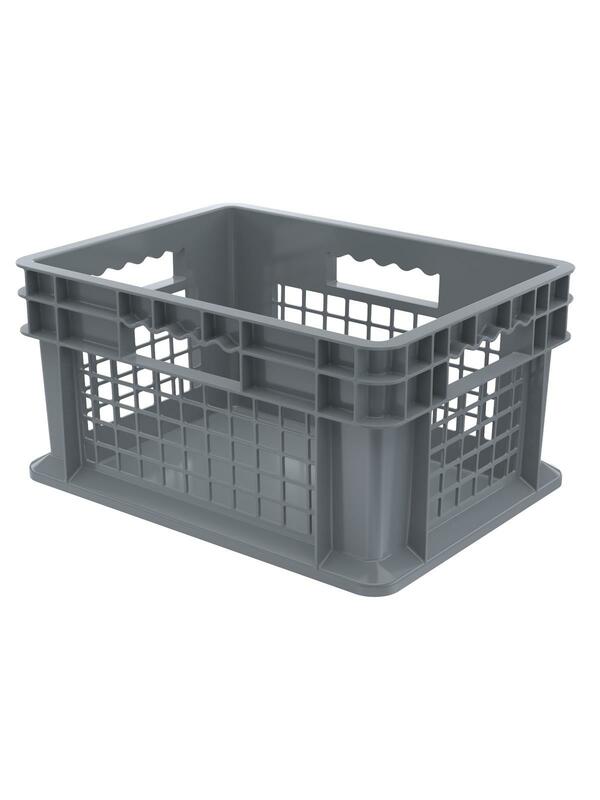 Manufactured from injection-molded high-density polyethylene. Available in 4 sizes and 3 styles. Gray in color. FOB Shipping Point. 15-3/4 x 11-3/4 x 8-1/4"15-3/4 11-3/4 8-1/4"
14-1/4 x 10-1/4 x 8"14-1/4 10-1/4 8"